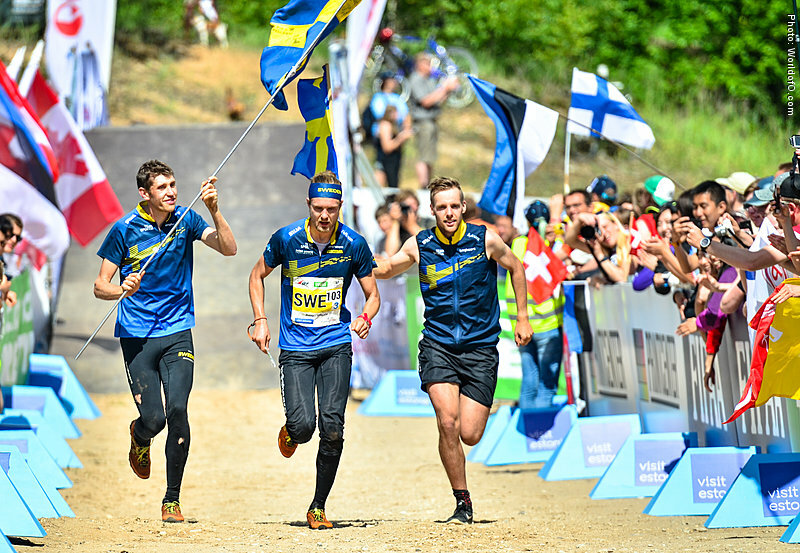 When my season for 2017 started in december at the gym in Århus I had a dream that I could hopefully be back in the Swedish national team and also be able to run the WOC in Estonia. 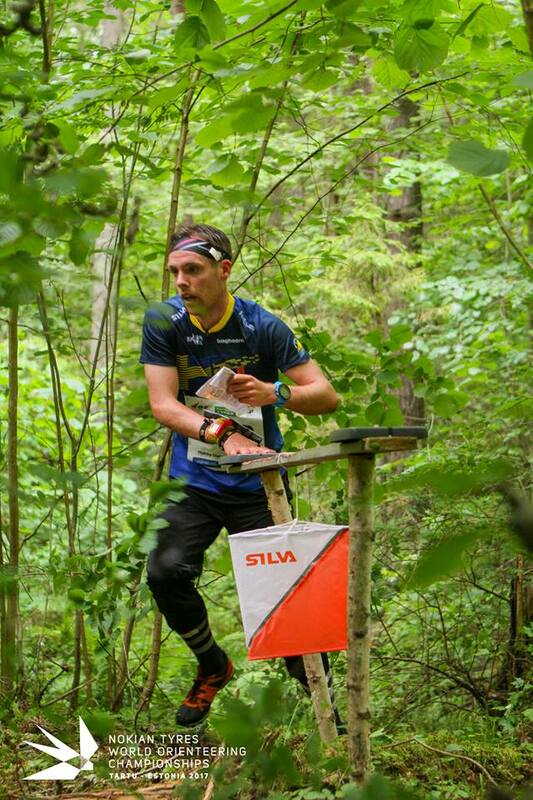 I knew that I had a long road ahead to make it happen cause at the time I was injured with a broken rib, and also a bad autumn season in the back and also there was a spark missing in my motivation and maybe some lack in faith that can I really be as good as I want to be or have I already had my peak in Orienteering. Of course these thoughts had been on my mind for some weeks and I started to realize that if I want to continue my elite career I had to make some changes. Of course I had already made one change of moving to Århus in Denmark which helped me a lot to understand vegetation orienteering in a different way then I did before and made my orienteering with only compass also a lot more stronger. And not too mention the helped I got from both all the runners and coaches in Danish National team to improve my running skills with both hard running intervalls and techninque drills. However my time in Denmark was about to end in january and I still felt I lacked of some motivation to go “all in” because that is what an elite career means to me, I can’t do it with 98% then I will only regret it afterwards. I am an All or Nothing person which of course has it pros and cons. After a lot of thinking it resulted in the move to Tampere and Tampereen Pyrintö as a club. So now I was maybe for the first time since ~2013 back at 100% with a head straight and hunger to face the challange that awaited me. The goal was clear, I am going to do my two best races of the season on the 4th and 6th july. To do that and run for Sweden is hard because as a swedish male runner you have to be good almost whole spring. And it is hard to be in top shape for a long period. I have tried many years before where I was really good and made it to the team just to be out of gas when the WOC arrived. So I made a plan that meant I was not supposed to be in shape until end of june. This meant that I had to reach a so good lowest level so that even if I am not in shape I will still be top 3 guy in sweden in both long and middle. Of course this is hard to achive in 6 months of training but this is was my main focus since I started to work with my coach Leif back in 2015. Since he is a old cyclist we are training a bit odd compare to normal runners or orienteerers but for me it have meant that I can train a lot and almost only running without having any problems with overload injuries. In short fact it means I run only really long runs in very very slow speed (it is hard to train with others) or I run superfast, nothing in between. Beacuse that only makes me tired and doesn’t do my heart stronger or muscle fast enough. And then the season came and with my new club it was going really well, Top 5 in 10mila and later Top 3 in Jukola which was extremly cool. 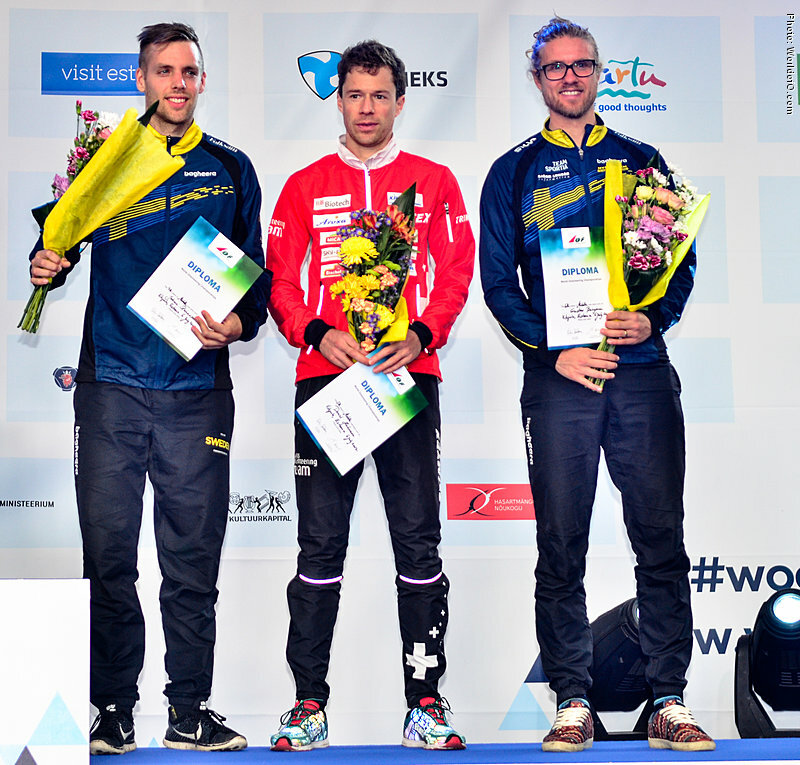 Between we also had a hard individual period with selections races and World Cup and I achived my goals for the period to be in top 3 of the swedish men and got the place to WOC where I was going to run long and middle. So now to the championship. My fist race was the 4th of july and it was the longdistance. The distance I like the most but also have high respect for during WOC because it is always a winning time around 100 min which is almost 10-15 min more then any other long we compete in. Last time I run a longdistance at WOC I was one of the last finisher and EOC the year before was not so good either so I was a bit nervous about my confidence the days before. But I also for the first time had a plan during my week in WOC. I knew excatly what I was training. And then I think due the fact about everything I had went through the last year, from injury to moving to a country where you don’t understand anything of the language I have learned so much about myself and also knowing how to listen to myself and to do what I need to do to gain focus to the right things. This meant that I for once enjoyed every second of the time in the swedish house where we were living during WOC. Can’t say that I had done that before even if most of the time have been good of course. The rest day between the middle I had to go out for the model. Jukola was the last time I run on 1:10 000 map so needed to come back to the scale. But I can really say that it would have been impossible to run the middle that day. Pain was everywhere. On the morning of the middle the body was still not perfect but I could feel it was ready for a fight. During the whole year I had been focus on the long because that had been my main target to show myself that I can do it and the middle have somehow been a bonus all year. So I was not at all nervous before the race. When I ran out from the start box I was so pshyced for what was waiting. First leg I should go left on the path but after only some meteres on the path I had to jumped in to the forest because I couldn’t hold back my excitment for the terrain. Realize it was stupied the same second so takes it easy. Run past women control and then in next depression my control should be and yes there it is! I go straight to second and can feel the bid depression to the right and then up to the top and slitghly left and there it is. short leg to third just compass. Even shorter to 4th and also lots of camera mean so that was easy. Next longer leg. A big depression just left of the control as back up so go straight and if i lose control just turn left. But gets everything so no need. It feels good but uses to much compass to 6th insetad of reading the map but realize that i am climbing but control is a depression that i am just left of it so make 90 degree turn and there it is. Okey a small misstake but not more the 15 second and now a long leg with a big road halfway. Time to speed up. Runs as fast as possbile and a bit left so I can run right later on the road to see where I am on the road before I go in to the forest. A bit left last part to come from the top of the flat hill down in the depression. Caches Jan Sedivy also and gets the control. Next controls are short and straight and then it is time for arena. I hear that I am in 2nd place. It is good but I can go faster. I am trying to speed up but keep reading the map. 11th, 12th and 13th works good. Make a small misstake to 14th almost passes it on the left. Then loses direction out from it and don’t make a perfect 15th control. 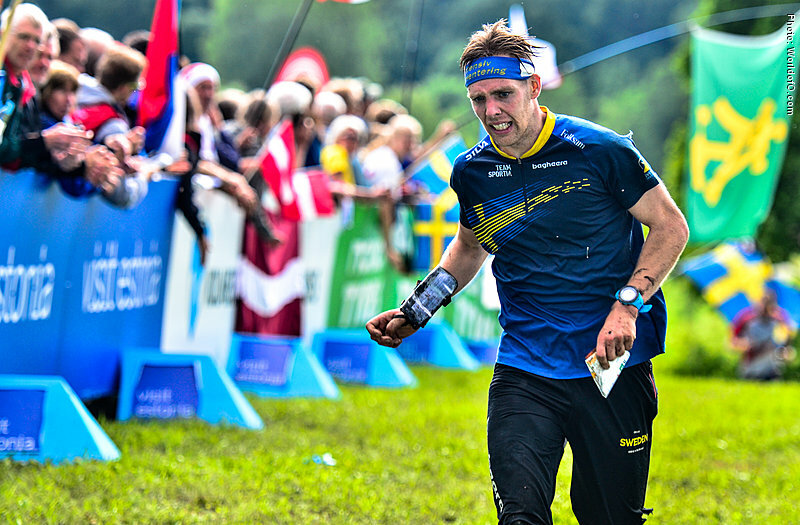 To 16th I missread the upper reentrent and make a bigger misstake and the also a bit left to 17th and know I am getting the feeling I am starting to lose the control of my orienteering. Therefore I am deciding to run left to 19th to “run off” the bad feeling and come back to focus. Do it and have a strong finnish, maybe the fastest of all. In the finnish I take the lead and there are only 9 guys left. I was really happy after the race. I was 4th and I got my first diploma from WOC. Of course I could have been better but in the preperations for the race I decided that I want to run in the speed that will challenge technical that I was allowing myself to do small misstakes. And I managed to do it. Of course the last routechoice to 19th cost me a medal but if not taking it I could have made a big misstake and losing my 4th place and that is the part of orinteering and also the part I love the most. 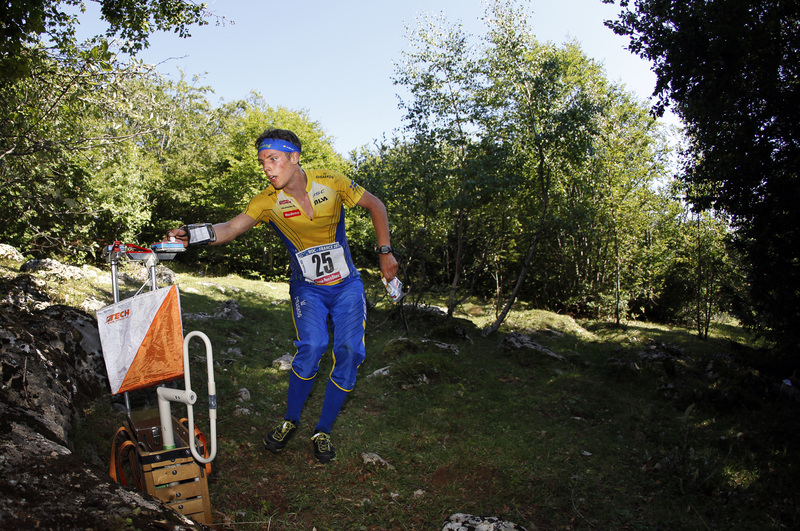 This was and still is my best performance ever in orienteering and that I can be proud of! Before WOC I was not thinking of the relay at all since focusing on the realy in years before have drawn my focus from my individual races. So I almost decided before to not run a relay leg because the swedish team had been so strong during spring and I was only guy running both long and middle so I thought I would be too tired too run compare to the others. But after all I also was in the shape of my life and technically I was in a flow. So when Håkan asked about the relay I was in for it. I was selected for the first leg. I had one strategy and that was to be the first guy in front so that I can do my own orienteering and let the rest team follow me and mine routes. The begining was good I got my first control and the first part I was completely alone but at the first common control we where some teams togehter. We stayed together and I tryed to be in front as much as possible. Back at the arena I am in second place. Last loop begins good I get my forking and are one of the first before next forking. Take my control and then we have a short common control. Here I missread the map that underneath the straight line it should be a hill but in reality it is a big depression. This means I am running on the nose to the left when I am beliving I am running on “my hill” straight. I continues a bit but it doesn’t make any sense so stops and turns back and on my way back to last know point I realize my misstakes and can go to the control. Now I have to speed up and starts running on the back while also keeping contact to the map. 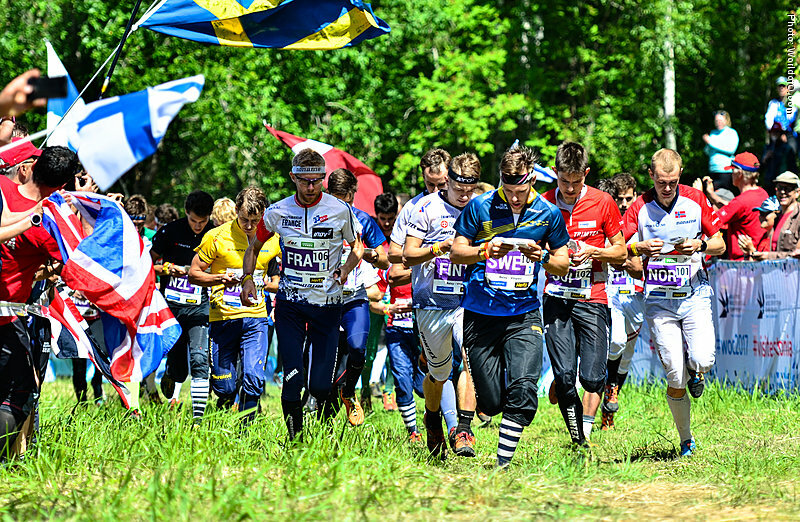 On the way to last forking I catch the pack and can for some seconds relax but almost miss my control and have to make a small sprint to catch the back again but I am in the pack at the last control and can change over to William at 7th place 10 seconds behind the lead. Of course not perfect due the fact I was feeling strong but still I repaired my small misstake and was with the lead in finnish. After my two team mates done there job we can take the bronze behind Norway and France. And this was so awesome and such a nice ending of a perfect championship to end it with my first WOC medel. A dream I have had since I was a little kid! So nice description from you race and you feelings.